We are one among many companies that provide you with the best ASTM A182 F316/316L Flanges. These are made from the best quality raw material and have high resistance quality. They are made keeping in mind all the national as well as international standards in mind. Not only are these industries standards also not ignored in this. These are the flanges that are being manufactured so that they can be used in the fitting of the pipes. They have the capability of controlling the pressure and it also works great at high temperature. These are the flanges that are very useful in the transmission of gas oil and water. They are made of the stainless steel that does not help them from being corroded. They are being packed in the bundles that are hexagonal in shape. They are packed in wooden boxes so that no further damages can be seen in the last stage they are also being packed in crates that are known as steel and wooden boxes. They are the boxes whose packaging is being done for ASTMA182 F316L and this is being done as per the requirement of the customers. Some of the features of ASTM A182 F316/316L Flanges are each bundle is being covered with the plastic so that it has full protection against extreme weather. All the bundles are being strapped with the plastic strips. The specifications of ASTM A182 F316/316L Flanges are ASTM A182/ A4032 and ASME SA182. 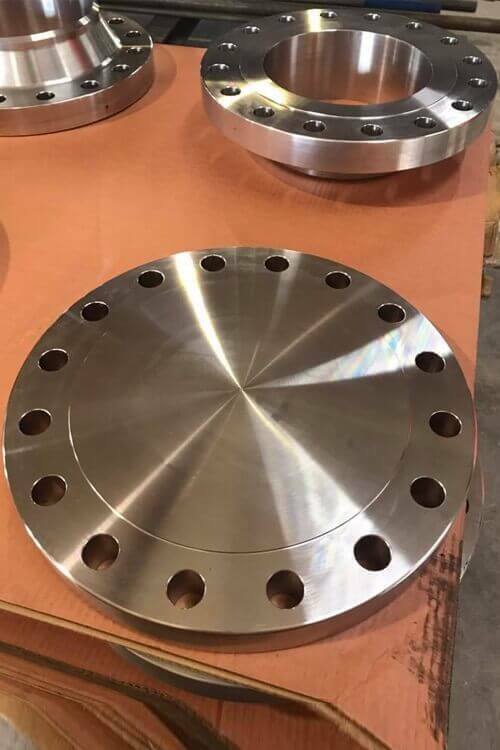 316L Stainless Steel Plate Flanges, 316 SS Threaded Flanges, Steel UNS S31600/S31603 Square Flanges Manufactures in Mumbai India, Stainless Steel 316L Ring-Rolled Flange, Standard Size ASTM A182 316 Stainless Steel Flanges Supplier, A182 316L SS Long Weld Neck Flanges, Alloy 316L Reducing Flanges, DIN 1.4401/1.4404 Stainless Steel Slip-On Flanges, Stainless Steel 316 Lap Joint Flanges, Austenitic Stainless Steel Grade F316/316L Flanges, ASME SA182 F316 Austenitic Stainless Steel Orifice Flanges Exporter, SS 316L ASTM A182 Blind Flanges, 316L Stainless Steel Austenitic Socket Weld Flanges, SA182 316L Austenitic Stainless Steel Flanges Stockist in India. Other Testing NACE MR0175, Ultrasoung TEST, IGC TEST, Intergranular Corrrosion Test as per ASTM A262 Practice E, Charpy Impact Test, Macro, Grain Size, Hardness, HIC, SSC, Sour Service etc.